Make Your Home Beautiful and Energy Efficient! Shading systems / Automated Shades can change the feeling in your home and even your life dramatically by allowing you to use more natural light in your home. 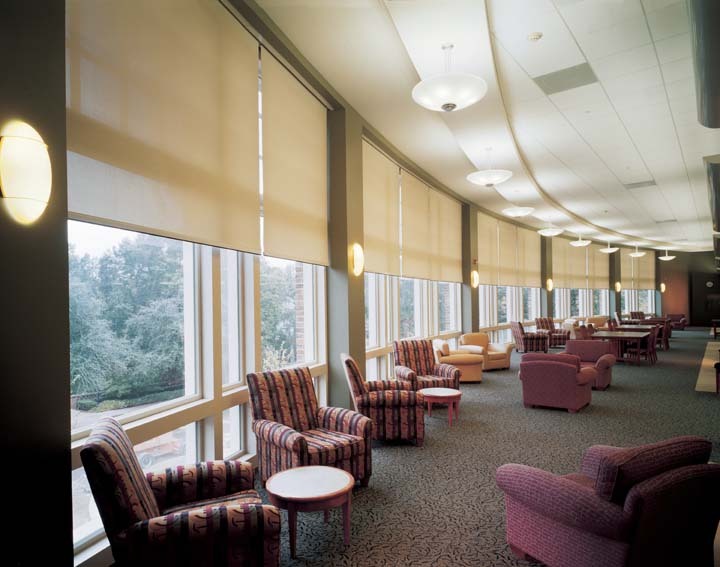 Imagine a smart shading system that knew when your shades needed to be up and when they needed to be down, the result would be a home that always provided the perfect amount of natural light. Our shading systems are available in wired or wireless design, meaning they can be installed in existing homes with no pre-wire required. Shading systems are not inexpensive but they can offer so much to the way rooms in your home look and make you feel. All of the automated shades recommended by Sounds Good work on low voltage which means they use almost now energy to operate. In addition the shading system is smart enough to stay closed during summer months to keep your home cooler and use less air conditioning, and in the winter months it will keep your shades open longer to allow the sun to warm your home more and use the furnace less. The automated shading system also has astronomical clocks that know exactly when sunrise and sunset occur each day to automatically open and close your blinds. With the addition of a light sensor the experts at Sounds Good can help you find the most comfortable amount of light for each room and program the lights and shades to work together to always maintain that perfect level of light. Most of the expensive items in your home, like rugs, hardwoods and artwork are susceptible to damage by the sun’s UV rays. Some of the shading products offered by Sounds Good can let up to 90% of the sun’s natural light though while still protecting your valuables for the damaging UV rays.